At Camera Jungle we believe there is a camera for every photographer, whether you're serious about landscapes, dabble in portraits or just want to learn how to take a decent photo. We can help you decide which camera suits you, how the technology inside can benefit your photography and give you plain English, jargon-free advice on what to buy. Even if you're an absolute beginner taking snaps on a cameraphone, or you want to know how having interchangeable lenses could make your photographs better, we can help. Camera Jungle is run by photographers for photographers of every experience level, so we can explain shutter speed, focus and aperture in plain terms. There are two different kinds of camera; those you can change the lens on, and those you can't. Being able to change lenses means you can attach a lens specifically for taking an image of a picturesque landscape then switch to one better suited for a photo of the family. If you get serious about photography you can take stunning, professional quality photos by investing in a better lens instead of a whole new camera. Interchangeable lens cameras have bigger sensors, which can capture more light. This means the photos are more detailed even if the megapixels are the same, and as a result digital SLRs and Compact System Cameras can take better photos than a compact. Compact cameras are far more convenient, being able to fit in your pocket with ease, and many have a long zoom lens making them very useful for holidays. In this guide we'll explain a few more of the differences between the camera types and the advantages and disadvantages. We're constantly adding more articles so be sure to check back regularly. Which type of camera do you need? An interchangeable lens model or a pocketable compact camera? Click on the link below to jump to the relevant article section. A digital SLR, or digital single lens reflex camera, is perfect for someone who wants to start taking photography more seriously as a hobby, or wants better image quality than a compact camera or mobile phone can achieve. A digital SLR is an interchangeable lens camera, so the lenses can be swapped when required via a light bulb- style bayonet fitting. You don't need to be a professional photographer to use a DSLR, as most models have similar automatic point-and-shoot functions to a compact camera. A DSLR can help you learn how to improve your photography and find a particular style to specialise in such as landscapes, wildlife or portraits, should you want to. DSLRs are extremely versatile, allowing lenses to be changed and every setting manually controlled, so you can adapt the camera to any style of photography or subject. You aren't restricted to a single lens, letting you explore and experiment. The main advantage to a DSLR is the ability to remove the lens and exchange for a wider, longer or more specialised option. 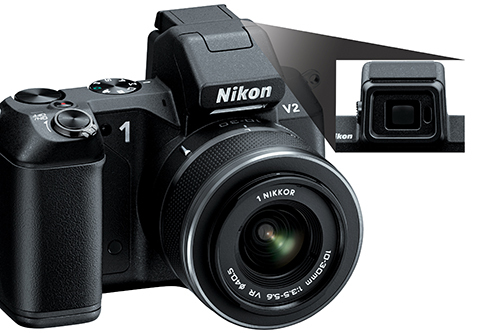 This means a DSLR is able to shoot any style of photography and you can adapt it in an instant. There are hundreds of lenses available for the Canon EOS, Nikon and Sony Alpha ranges of digital SLRs, from those perfect for landscape images through to others suited to photographing wildlife, portraits, low light photography and much more. Each lens manufacturer uses a different type of connection at the bottom of the lens and front of the camera. This means that lenses designed to work on Sony, Canon and Nikon digital SLRs will only work on those manufacturers' digital SLRs. You'll notice, for example, if you try using a Canon EOS DSLR and then a Nikon digital SLR, the lenses twist in different directions. Canon, Nikon and Sony make lenses for their own systems and there are some manufacturers, such as Sigma, who make lenses for all the different manufacturers. You'll still need to select the correct type of connection, called a fit, for it to work with your camera. If you're not sure of the connection your camera has drop us an e-mail with your model number, which is written on the front of the camera, and we'll talk you through it. One of the reasons a digital SLR can take better photos than a compact camera or cameraphone is the size of the sensor. A digital SLR sensor is around nine times the size of compact camera sensor and over 20 times larger than an iPhone 4s sensor. Even though the megapixels might be the same the larger physical size has a huge impact on the quality of the images produced. The larger sensor can capture more light, which means the images are more detailed and produce deeper colours. 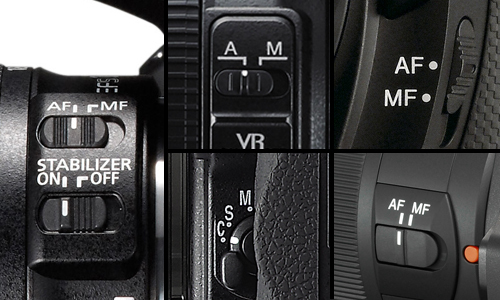 A digital SLR also offers manual controls, which means every aspect of taking a photo can be determined by you. A camera can take a perfectly decent image when left in the automatic mode but using manual controls help you prepare for a certain subject, such as a sunset or running child, in advance. This makes the camera prepared for what you'll be shooting, instead of reacting to it, which can help you take a better image. Focus decides how sharp the subject of your image is and can be controlled manually. You don't need to control focus manually, as the default setting for your lens will be for the camera to control it automatically. You'd only need to take manual control if the lens isn't focussing on what you want it to. You control the focus manually on the lens by twisting a ring, either at the very front of the lens or further back near the zoom. 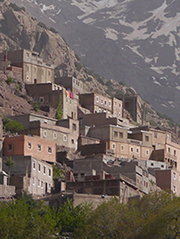 You'll notice that some lenses will move outward when zooming, and some will not. This is called internal focusing, and is very useful when photographing close-up. You can switch to manual focus either on the body of the camera or the lens, depending on the manufacturer. 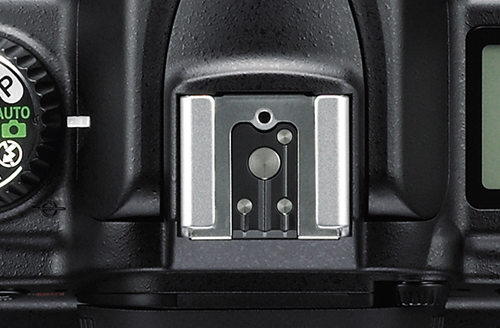 The switch is present on the lens for all Canon digital SLRs, with AF meaning autofocus and MF meaning Manual focus. Sony digital SLRs have a focus switch for older lenses which don't have a switch. If a Sony lens does have a focus switch it can override the setting on the DSLR, so it's best to leave the DSLR switch set to AF in this instance. 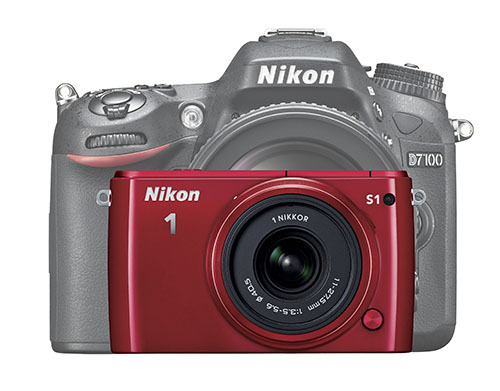 Similarly some Nikon DSLRs have a focus switch on the body, so older lenses without a focus switch can be used. Newer lenses have a focus switch as well, so the Nikon DSLRs without a focus switch can still change between auto and manual focus. If you'd like to make a fast moving object less blurry when you photograph it, or take a photograph in very limited light, you can change the shutter speed. The shutter speed controls how long the shutter, which is a series of metal blades, uncover the sensor for allowing it to absorb light and create an image. The longer the shutter speed is, the more light can be absorbed, so you can even take photos at night. If a person is running and you're trying to take a photo of them, a fast shutter speed will capture only a split second of movement so the person won't appear blurred. The shutter speed is shown in seconds or fractions of seconds. One of the most commonly used speeds is 1/125th of a second. 1/125th of a second is able to take a well exposed image on a sunny day but is also quick enough to snap a running dog without being blurry. If the person, or animal, you're taking a photo of is moving too fast for 1/125th of a second, such as a speeding car for example, you may want to increase the rate to something faster such as 1/500th of a second. When conditions get darker, and your images aren't able to capture any detail or colour, increasing the shutter speed makes it possible to take a photo at night even if you don't have a flash. Changing the speed to one or two seconds allows the sensor to absorb much more light, so your photograph won't be too dark. Because of the slow shutter speed any movement by anything within the image or even slight movements by you will result in blur. 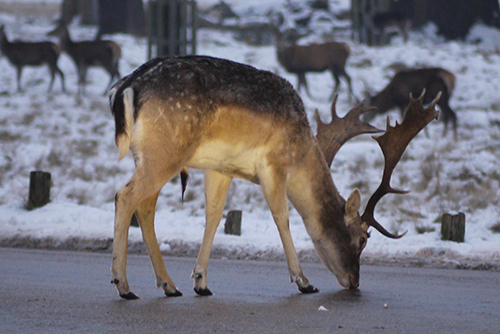 You can prevent this by using a wall or tripod, which is a three- legged support for cameras, so there's no chance of you moving the digital SLR when taking the photo. Aperture gives you another way of controlling how light or dark an image is as well as how much of an image is in focus, which is called the depth of field. Unlike the shutter speed the aperture is inside the lens, although you still control it using the camera. Controlling the aperture moves a series of blades inside the lens to make the hole that light passes through larger or smaller. By making the hole smaller the amount of light which passes through is reduced. When you use a smaller hole combined with a slow shutter speed you can get an entire landscape in focus rather than just a few trees in the foreground. This is because a smaller hole reduces the chance of over-exposure, which happens when too much light hits the sensor and the image comes out completely white. If you want a large amount of an image to be in focus the light has to travel from a number of different distances, from close to the lens through to many miles away, you need to use a slow shutter speed so each ray of light has time to hit the sensor. A larger hole would let too much light hit the sensor at once, resulting in over-exposure, which is why a smaller hole is required. Alternatively, if you only want a one person or object to be in focus you'll need the hole to be bigger. This is because you won't need a long shutter speed to let so much light hit the sensor, as every ray of light you need is travelling from the same distance. Because the hole is so large, and so much light is hitting the sensor, a faster shutter speed can be used without the risk of under-exposure, which is when there isn't enough light to take an image so it comes out black. Apertures are displayed in numbers, preceded by an f/, such as f/5.6. A lower number means the hole will be wider, letting more light in. A higher number, such as f/12, means the hole will be smaller. Having too wide of an aperture can result in over-exposure, which means too much light hits the sensor and the image will be completely white. Too narrow of an aperture will cause under-exposure, which means not enough light gets to the sensor and the image comes out black. Because the aperture is determined by the lens you'll only be allowed to select the values available on that lens. For example, if your lens has f/2.8 written on it next to the focal range, such as '70-200mm f/2.8' that will be as wide as the aperture can go. Zoom lenses can have two values, as the lowest aperture will change when you're zooming. Professional-level zoom lenses can have a single aperture throughout the zoom range, although they are much larger than those with a changing aperture. If you use the camera on Manual, or M mode on Sony, Canon and Nikon DSLRs, you'll be in completely control of the shutter speed, aperture and many other settings. Because the DSLR has turned control over to you completely, it won't necessarily stop you from taking a shot at the wrong shutter speed or aperture. Try taking a photo on the automatic mode first, remembering the settings, then copying and tweaking them slightly in the manual modes to see what difference it makes. If you only want to experiment with either the shutter speed or aperture you can use the Priority modes. 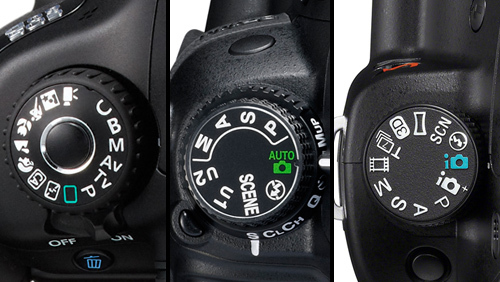 These allow you to take control of either the shutter speed or aperture, not both at the same time. The camera will still try and take a good photo by using the setting you aren't controlling to compensate. For example if you use the shutter priority mode, and change the shutter speed to 1/2000th, the aperture will become wider so the photo isn't under exposed. 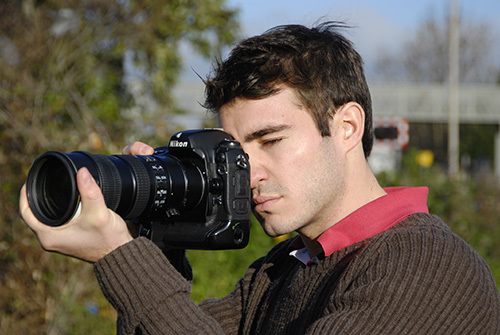 The shutter priority mode is labelled as Tv (Time Value) and aperture priority as Av (Aperture Value) on Canon EOS DSLRs S and A on both Nikon DSLRs and Sony Alpha DSLRs. 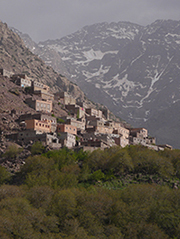 A number of digital SLRs have a guide, or help, mode which teaches you the consequences of changing certain settings and which types of photography they might benefit. This can help you to move away from the automatic modes while knowing exactly what settings to alter to take a better photo. 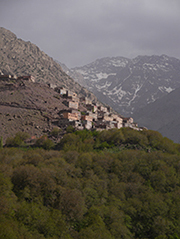 There are also scene modes, much like on a compact camera, on some DSLRs which change the settings of the camera depending on the style of photography that you select, such as catering the camera more towards a moving subject in the sports mode, or making the camera more sensitive to light for shooting at night. Digital SLRs also have an optical viewfinder, which looks through the lens to give an accurate impression of what you're about to shoot. The more modern DSLRs also have a function called Live View, which lets you frame a shot using the LCD screen, just like on a compact camera. 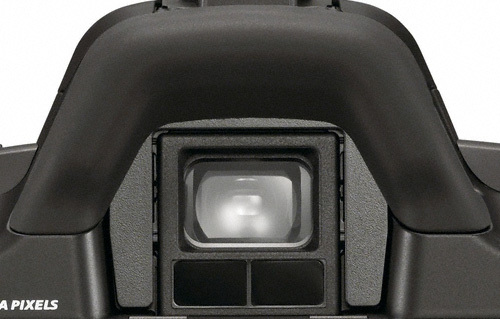 The flat, metal connector on top of a DSLR is called a hotshoe, which allows for a flashgun to be attached. This adds a more powerful light source when you take a photo, making it possible to take images in lower light than the built-in flash would allow. A flashgun can also allow for more control over the angle, quantity and colour of the light. 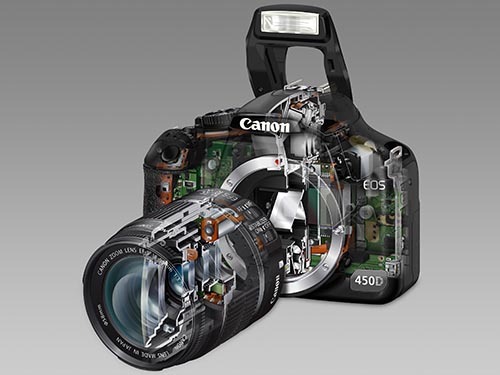 We sell used cameras 'body only', which means the digital SLR does not include a lens. This means you can buy whichever lens you choose to with the camera, or not buy one if you already have a compatible lens. You can't start taking photos without a lens, so you'll need at least one to get started with. We also sell new digital SLRs which come with either one or two lenses. We replenish any missing accessories for every used digital SLR sold to us, regardless of the age. This includes the battery, charger and USB cable to connect the camera to the computer. The battery and charger are needed to power the camera, where the USB cable is needed if you'd like to read photos from the card while it's inside the camera. If you have a card reader you may not need the USB lead, but it is often helpful when going on holiday or visiting friends and family if you want to show or make copies of images. We also clean the sensor of every digital SLR sold to us to remove any dust or other particles from it. This can happen when a lens is changed and the sensor is left unprotected. Any particles left on the sensor can appear as out-of-focus dots on your images. A Compact System Camera is only slightly bigger than a Compact Camera, but has very similar functionality to a digital SLR. Lenses can be removed and exchanged, so the camera can be adapted to take portrait, landscape and action images by taking off one lens and attaching another. You can also take manual control of the camera, changing all of the major settings if you wish. A Compact System Camera can easily fit in a small bag or pocket, but has a physically larger sensor than a compact camera or camera phone making a Compact System Camera capable of more detailed, higher quality images. This may seem very similar to a Digital SLR, but both the Compact System Camera body and lenses are far smaller making it possible for you to carry the same amount of kit in a smaller bag. Compact System Cameras have been available since 2008, and are made by respected manufacturers such as Panasonic, Olympus, Sony and Nikon. Because the lenses on a Compact System Camera can be changed it can quickly be adapted, on the move, to any situation. So if you're taking a photo of a landscape, but want a photograph of something a closer, you can quickly switch lenses to something better suited to the situation. Much like digital SLRs there are a plenty of lenses to choose from, from those suited to portraits or low light photography to those better at sports and wildlife images. Compact System Camera lenses come in two varieties; a zoom lens, which can extend to get closer to the subject, and a fixed lens which stays at one focal length. A zoom lens is better at adapting to a number of different photographic styles, such as if you're walking around an unfamiliar city and taking a wide shot of some buildings, then wanting to take a photo of a monument far away. A fixed lens, which is also known as a prime lens, is better suited for a particular style of photography such as portraits or macro. The fixed lenses are capable of brighter, sharper photos due to have less glass within them than the zoom lenses. A zoom lens has more glass within to make it able to move between different focal lengths where a fixed lens, also called a prime lens, needs far less as it remains at one focal length. Each piece of glass the light has to pass through to get to the sensor increases the chance it'll get bounced off in the wrong direction, so a fixed lens has a better chance of capturing more light than a zoom lens. This makes fixed lenses extremely useful in low light, where you need as much light as possible to take an image. Compact System Cameras and lenses have a manufacturer-specific fitting, so you can't use a Nikon-compatible lens on a Sony NEX camera, for example. 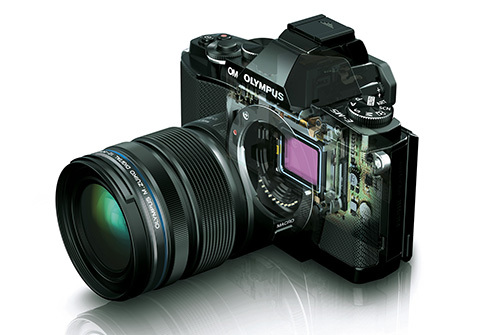 Olympus and Panasonic share a fitting, called Micro Four Thirds, which means Panasonic lenses can be used on Olympus Compact System Cameras and vice versa. The lenses attach via a bayonet fitting similar to a light bulb, which means you need to twist the lens in order for it to lock in position. To release the lens a button needs to be pressed, then the lens twisted in the opposite direction. 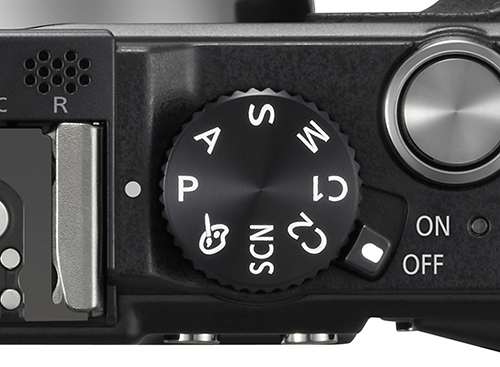 Automatic controls are available if you just want to point and shoot, with a number of models having a guide or help mode to allow you to learn the effects of changing certain settings. Scene modes are also available, which let you specify the type of photo you want to take, such as macro, landscape and action, and the camera will change the settings accordingly. You can also change the settings of the camera manually. This includes the focus, which is how sharp the subject in your image is. The standard setting for a lens is autofocus, in which the camera takes control. In order to manually focus a ring on the lens needs to be twisted, much like zooming. Manual focus is useful for when the autofocus isn't finding the correct subject. If you're taking a sports or wildlife image, and would like to reduce the amount of blur in the image, you can manually alter the shutter speed. This alters the length of time the Compact System Camera's sensor will absorb light for. A faster shutter speed is best suited to a fast moving subject, as the sensor will only be able to absorb light for a short space of time, so the blurring created by the camera capturing movement will not be an issue. Alternatively, if the available light is limited such as at night, you'll need a longer shutter speed so the sensor can absorb light for as long as possible. Shutter speed can be changed in fractions of seconds and whole seconds. A common speed for a sunny day shooting a static or slow moving subject would be 125th of a second, whereas at night the speeds might be decreased to half a second. Changing the shutter speed impacts the exposure, which is how light or dark the image is, as a faster shutter speed reduces the amount of light therefore potentially making it darker, and a slower shutter speed can allow too much light in meaning it's over-exposed, or too bright. Aperture is used to control how much of the image is in focus, so a background can be blurred on a portrait image or an entire landscape made sharp. The aperture controls how much light is allowed through the lens to the sensor, with a wider aperture allowing in a large amount of light and a narrower aperture limiting the light to a minimal amount. Depth of field works by controlling the light travelling from long and short distances. By having a wide aperture only light from close to the lens can travel to the sensor, as too much light being allowed to travel onto the sensor will result in over-exposure, which is the image being too bright. Having a narrower aperture allows more light to travel from further away from the lens, allowing for the lens to focus on objects further away from the camera. Aperture is displayed in decimalised numbers, with lower numbers meaning a wide aperture and high numbers being a narrow aperture. A wide aperture, for example, would be f/2.8 and a narrow aperture would be f/16. A lens will quote the widest possible aperture next to the focal length, as the narrowest aperture is normally set at f/22. Zoom lenses will often quote two apertures, such as f2.8-f/5.6, because the widest aperture will be different when you zoom in to when you're zoomed out. This is because a fully zoomed lens will not be able to capture as much light, so the aperture will be narrower. Not all lenses have two different apertures, meaning the aperture quoted will be selectable throughout the zoom range. Because the aperture is adjusting the amount of light travelling to the sensor the shutter speed has to compensate. A narrow aperture will limit the amount of light able to travel to the sensor, so a long shutter speed will be needed to prevent the image from being under-exposed, or too dark. Likewise the wider aperture will allow far more light through to the sensor, making is necessary to use a faster shutter speed to prevent over-exposure, or making the image too bright. If you only want to adjust one setting, such as only the shutter speed, Compact System Cameras offer a priority mode which only gives you control over either the shutter speed or aperture, and adjusts the other setting accordingly. This makes it possible to experiment with how the settings will affect your images without ruining your image. 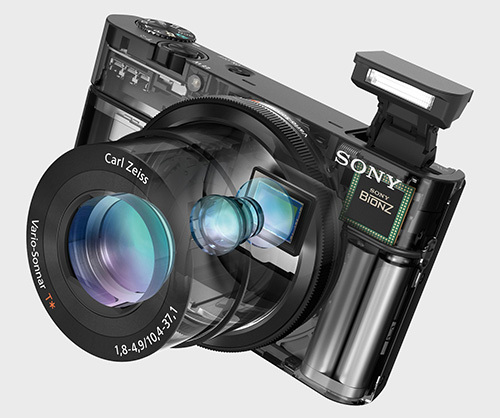 A Compact System Camera uses the LCD screen to frame and review images in the same way as a compact camera. 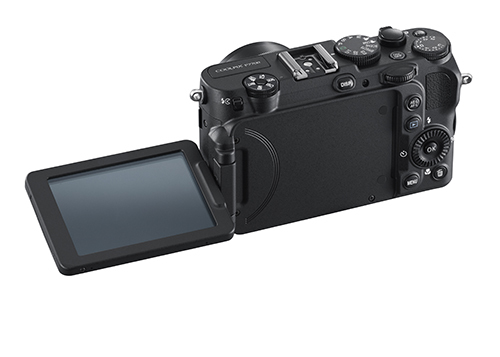 The controls and handling are similar to both a compact camera and digital SLR, making it perfect for anyone with experience of either camera type. Some Compact System Cameras have an electronic viewfinder built-in, and others can accept one as an added extra. These are electronic versions of the optical viewfinders you'll see in digital SLRs, so you see what the lens sees and you'll have an accurate impression when you zoom or change settings. A few models also have optical viewfinders as a separate accessory, or even built into the camera, but these are separate to the lens and so will not give you the same preview as a DSLR. The hot shoe, which is the connector the viewfinder attaches to, can also support a flashgun. This allow you to shoot in darker conditions than a built-in version would allow, and is especially helpful for the Compact System Cameras which don't have a built-in flash. As Compact System Cameras are far smaller than a Digital SLR it's easier to carry them, so if you're struggling with heavy kit or are frustrated at the lack of versatility of a compact camera or camera phone, a Compact System Camera is well worth considering. We sell used cameras 'body only', which means the Compact System Camera does not include a lens. This means you can buy whichever lens you choose to with the camera, or not buy one if you already have a compatible lens. You can't start taking photos without a lens, so you'll need at least one to get started with. We also sell new Compact System Cameras which come with either one or two lenses. We replenish any missing accessories for every used Compact System Camera sold to us, regardless of the age. This includes the battery, charger and USB cable to connect the camera to the computer. The battery and charger are needed to power the camera, where the USB cable is needed if you'd like to read photos from the card while it's inside the camera. If you have a card reader you may not need the USB lead, but it is often helpful when going on holiday or visiting friends and family if you want to show or make copies of images. We also clean the sensor of every Compact System Camera sold to us to remove any dust or other particles from it. This can happen when a lens is changed and the sensor is left unprotected. Any particles left on the sensor can appear as out-of-focus dots on your images. A compact camera is perfect for beginners to photography, as you can point-and-shoot letting the camera control all the settings while you concentrate on taking the photo. A compact camera is much smaller than a digital SLR and even a Compact System Camera, making it well suited to a day out or holiday. Compact cameras range from small models to fit in a pocket through to larger models for more serious photographers. There's a compact camera available for most people's needs from manufacturers such as Canon, Nikon, Sony and Fujifilm. Compact cameras usually have zoom lenses, which means you'll have both a wide angle for landscape photography and a telephoto, which is useful for shooting far away subjects. The amount the lens will zoom to differs from one camera to another, with many having a 5x zoom and above. This number relates to how far you can multiply the widest angle of lens by in order to find out the longest zoom length. A higher number will mean a longer zoom, so objects far away can be shot without you needing to move, but it's also worth noting the wide angle as this is more helpful if you want to shoot landscapes and groups of people. 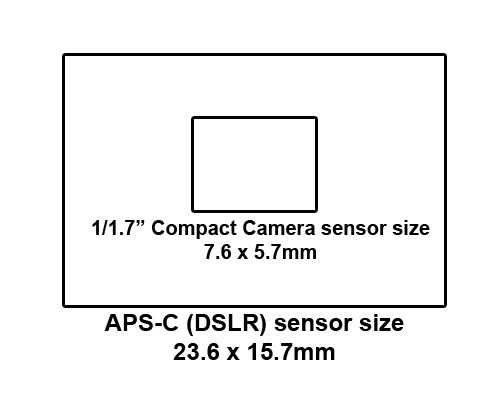 24mm or lower, for example, is considered a wide angle. 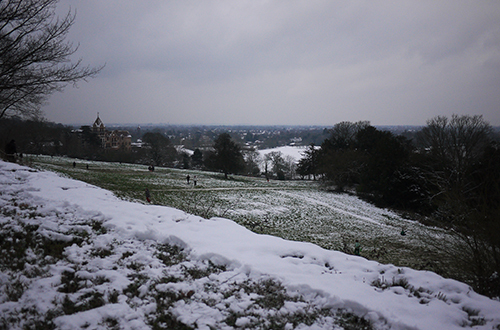 Compact cameras can also offer manual controls, much in the same way as a Digital SLR can. This makes it possible to control the focus, which is how sharp or blurred a subject is. Because a compact camera doesn't always have a ring around the lens to twist, you may find that you can only adjust the focus using the control pad, which is also used to adjust menu settings. Some compact cameras also allow for manual control over the shutter speed. Changing shutter speeds helps reduce the blur created by people and objects moving quickly, or can help when you're shooting at night without a flash. The shutter speed relates to how long the sensor absorbs light for, with a fast-moving subject such as a sports car requiring a fast shutter speed whereas a slow shutter speed is needed when taking photos at night. Shutter speeds are displayed in fractions of seconds, for the faster speeds, and seconds for the slower speeds. A speed of 1/125th of a second is fine for most outdoor situations, where 1/60th and slower would be fine for indoors or at night. When the shutter speed is slower the camera can pick up movement from you, resulting in hand shake. In situations such as this a tripod is needed, or a flat surface, so the camera won't move when you're taking a shot. If you want to take a landscape photo with everything in focus, or a portrait photo with the background blurred, you need to alter the aperture. This is based within the lens, and controls how much light is allowed through to the sensor. The way in which shutter speed and aperture differ is aperture controls the amount of light allowed through to the sensor and is based in the lens, the shutter speed controls how much time the sensor absorbs light for, and is within the camera. Shutter speed and aperture need to work in tandem in order to stop over-exposure, which is when the photo is too light, and under-exposure, which is when the photo is too dark. If you select a very fast shutter speed, the sensor may not have enough time to absorb enough light to produce a bright photo. In this situation a wide aperture would be need to let as much light in as possible. Alternatively if a slow shutter speed is selected, you may need to select a narrow aperture to stop too much light from being absorbed. 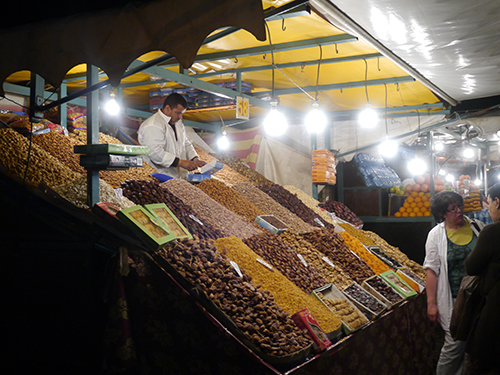 Some compact cameras offer priority modes, which allow you to only change shutter speed or aperture. The camera will then change the other setting to compensate, so you should still get a decent photo when experimenting. Some compact cameras also offer a full manual mode, which means every setting is in your control and the camera won't try to adjust anything automatically, even if the image is going to be under or over-exposed. The LCD screen at the back of the camera is used to frame up and play images back, and some models offer a smartphone-like touchscreen. A number of models also have a vari-angle screen, which means it can be twisted independently of the camera and viewed from a number of angles. Controls are geared towards simplicity so you'll be able to pick up and use a compact without having to know the finer points of photography. A select few models have an electronic viewfinder, which is similar to an optical viewfinder in that it shows you an accurate impression of what the lens sees. You also have the benefit of being able to review your images through the electronic viewfinder, in the same manner as the rear LCD screen. Some models have an optical viewfinder although it's separate from the lens, rather than viewing through it as a Digital SLR can. 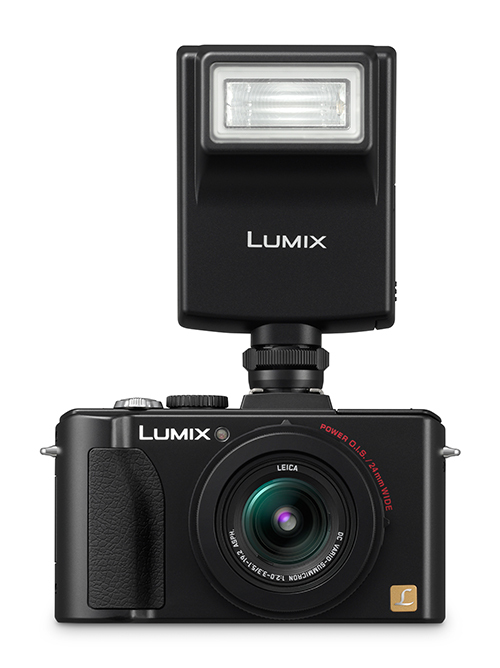 A number of the more advanced compact cameras can support an external flash. These attach to a flat, metal panel on the top of the camera and are more powerful and versatile than the built-in version. Depending on the model of flash you buy the head of the flash can be rotated, to change the direction of the light, and filters can be added to change the colour. We replenish any missing accessories for every used compact camera sold to us, regardless of the age. This includes the battery, charger and USB cable to connect the camera to the computer. The battery and charger are needed to power the camera, where the USB cable is needed if you'd like to read photos from the card while it's inside the camera. If you have a card reader you may not need the USB lead, but it is often helpful when going on holiday or visiting friends and family if you want to show or make copies of images. We also clean the lens and body of every compact camera sold to us to remove any dust or other particles from it.